Jim was running a shoe repair shop and eventually he took up a stall in Chester market, selling shoes and slippers in the late 1950s. During this time Marie had 2 children, Susan and Annie. Her son David was born in 1962. Marie would help on the stall on a Saturday or during school holidays. She describes the journey from Rochdale as “Horrendous! Coming to Chester coming in the car from Rochdale. “we used to have these skips at the back of the stall, and when David were a baby we used to bring him and put him in the skips to sleep!” she laughs. 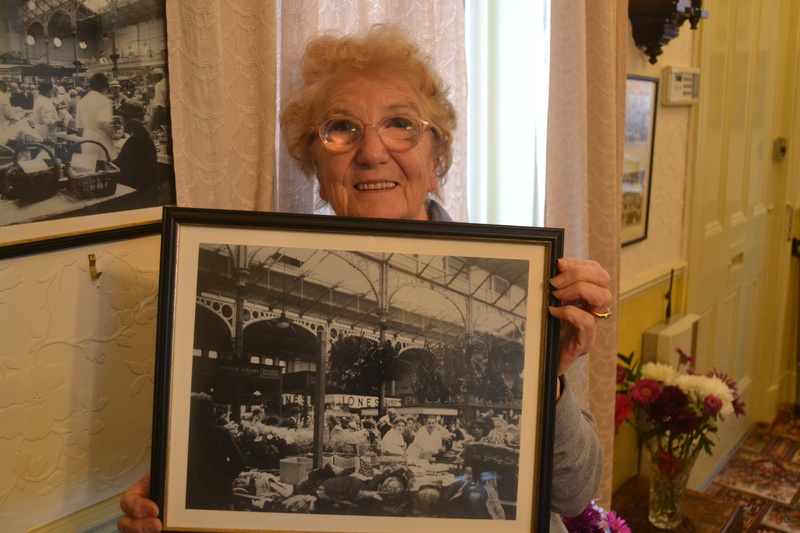 She has few memories of contemporary Chester ” we didn’t really go out much” but she did take the children to the swings on Frodsham st.
She describes the atmosphere inside the market : “very cold, flagged floors it was like an alleyway and then the main market, and you started at the end of this alleyway where there were hardly any customers, and if anyone come in we’d do “shut the door!” .. the wind used to blow everything off. We gradually moved up to the middle of the market. People used to come in at weekends for all the vegetables, there weren’t the supermarkets then…all of the farmers and that . You worked your way up to the centre of the market it was a big lofty place, but it was at the front it used to be next to the town hall. 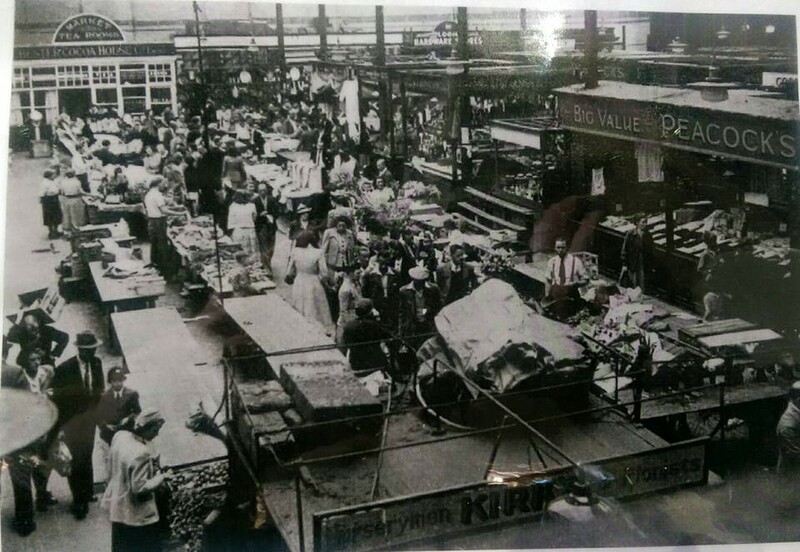 Of the new market she says ” we knew for a long time …we thought it might be better it might be worse, you can’t tell until you’ve been in .. where the forum is now, that was where the old market was… it was all building works after that because they were building the Forum. One of her fondest memories is the Lord mayors parade in the 90s “I think we did it for two years and both years we won the first prize. A friend of ours, next doors to one, he made an exact replica of the clock, exactly right, and we had it in the middle. Every stall had to put a bit of something we sold on it.. on Friday night they stayed in the market late dressing all the wagon up. One year we did Victorian themed… “quite a few of them were dressed up… after that because there was people on the wagon they stopped us doing it because there was no much insurance. Best dressed wagon for two years on the run” she says proudly. Another highlight offered by Annie is ” people coming in telling us they’ve seen one of the cleaners ghost in the loading bay!Do you remember that? 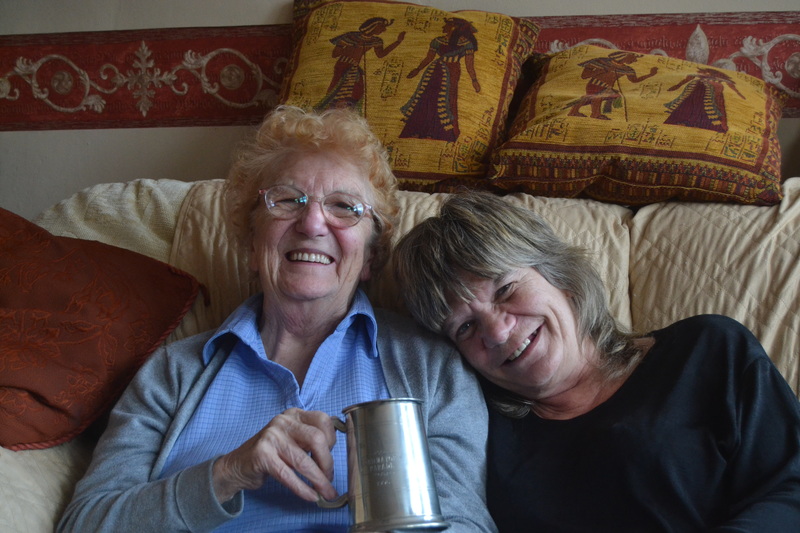 I ask Marie about the future and if markets still have a role to play..
“I’ve enjoyed myself. Ive no regrets at going into the markets.. we’ve had more good times than bad times.”..with 2 of her family now running Jim’s “its up to them how they manage now!